The Bachelor in Paradise couple took to Instagram on Sunday to announce the name of their first child together. "Evan and I are SO EXCITED to reveal our little angels name... Her full name will be Isabella (Bella for short) Evelyn Bass, and we love her so much already!" 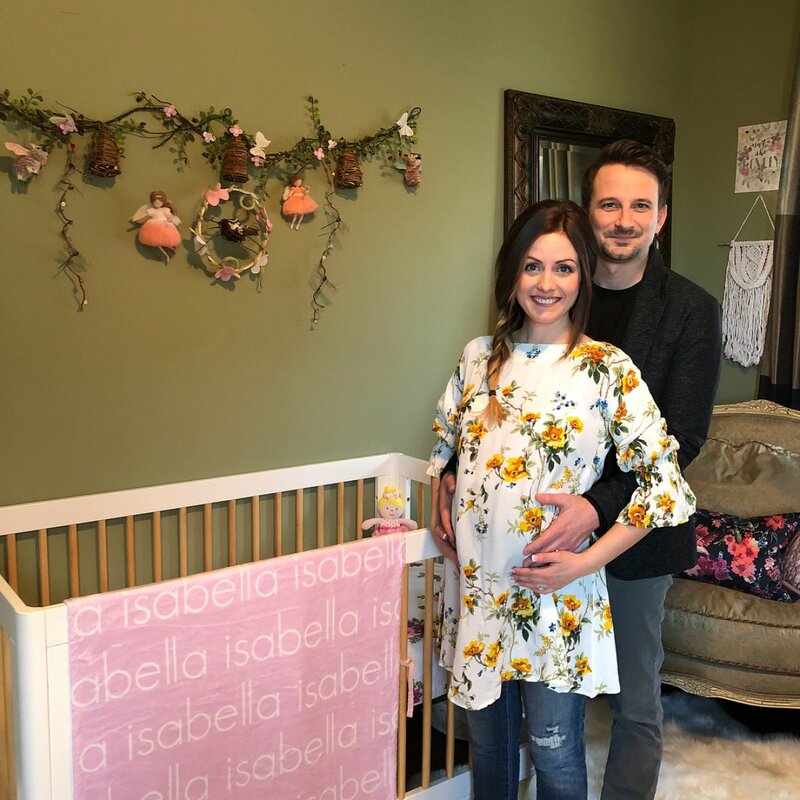 Carly captioned a photo of a pink blanket draped over a white crib with the name "Isabella" written all over it. "Can't believe in about one month we will be wrapping her up in this soft, cuddly little number! These blankets come in three different sizes and in so many different colors!" Evan also posted a picture on Instagram in which the couple was holding a little doll up by its arms over the crib. "Well folks, I lost the battle to name our baby girl Evan but I won the war with the name: 'Isabella Evelyn Bass.' My sweet Grandma Bass was named Evelyn and she was the best and I hope that our daughter is fierce like her," Evan revealed. The pair announced in early August 2017 they're expecting their first baby together, which happened to be just two short months after they tied the knot in Mexico. The couple said they discovered Carly is pregnant -- a very sweet and exciting surprise -- only several days after getting married in June of last year. And then in late August, Carly and Evan revealed they are going to welcome a daughter into the world in early 2018. While Carly, a former cruise ship singer, is going to be a first-time mother, Evan, an erectile dysfunction expert, already has three sons from a previous relationship: Nathan, Liam and Ensley. RELATED LINK: 'THE BACHELOR' SPOILERS: WHO ARE ARIE LUYENDYK JR.'S FINAL 4 BACHELORETTES AND HIS FINAL WINNER PICK? The Nashville-based couple met and fell in love in Puerto Vallarta, Mexico. They got engaged during the season finale of Bachelor in Paradise's third season in September 2016. Prior to appearing on Paradise, Carly competed for Chris Soules' heart on The Bachelor's nineteenth season and experienced serious heartbreak on Season 2 of Bachelor in Paradise when Kirk DeWindt unexpectedly dumped her during the final days of filming. As for Evan, he fought for JoJo Fletcher's affection on The Bachelorette's twelfth season. Becca Kufrin -- 8 things to know about Arie Luyendyk Jr.'s 'The Bachelor' bachelorette, PLUS Photo Gallery! Kendall Long -- 8 things to know about Arie Luyendyk Jr.'s 'The Bachelor' bachelorette, PLUS Photo Gallery!